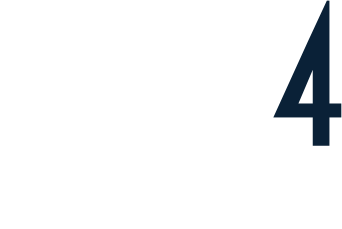 Stride4stroke is the Stroke Foundation’s signature event, where in the month of November we encourage our community to get active and help prevent, treat and beat stroke. Who can take part in Stride4Stroke? Anyone can take part. We encourage you to sign up and take part in Stride4Stroke with your friends, family, work colleagues, sporting teams. All you need to do is set an activity goal and set a fundraising goal and you are on your way. The main thing is to partner with us to prevent, treat and beat stroke by getting active and raising funds. Friends. Team of 10 girlfriends make a pledge to collectively walk 1,000km in November. They all agree to put in $50 and raise $2,000. Work Place. A HR team who work in different states across Australia decide to participate and pledge to walk 3,500km in November. They all agree to put in $100 and the company has agreed to match all funds raised. Their fundraising goal is $10,000. Health Professionals. As experts in the Stroke field, sign up together to pledge to walk at lunchtime for a week in November. Sports Club. A rugby team decide to participate, instead of walking they pledge to run 5,000kms in the month of November. They all agree to put in $50 and the rugby team has agreed to fundraise their event. Family. A family together pledge to walk 300km, they agree to put in $40 each, and together set out to achieve their goal. You’ll be sent your Stride4Stroke kit from 17 September. This kit includes great fundraising tips and your Stride4Stroke gift for participating and joining us this November. Your Stride4Stroke kit will be sent to the postal address you enter during registration. Each team member will be sent their own pack. We will be here to motivate you along the way, with fundraising tips, activity tips and information on how you’re funds are making an impact. How do I create a team or join a team? Getting active is much more fun when you do it with others! Motivate friends, family or colleagues to participate in Stride4Stroke with you. You can create a team when registering by following the prompts. If you're already registered and would like to create a team, login to your dashboard and click the Create a Team option and then follow the prompts. You may be invited to join a team by your team captain, this link from the captain will take you through the registration process and you'll be automatically part of that team. Alternatively you can view all teams participating in the event, find the team you'd like to join and if the captain has made that team available to the public to join then click the Join Us button on their team page then follow the prompts. Keep track of you and your team’s activity, using Strava, Fitbit or Map My Fitness, these apps sync directly with your personalised page and team page. Click here for more information on connecting your fitness device to your fundraising page. Of course you can track your efforts in any way that suits you and then manually upload them to your personalised page. Yes. All donations $2 and over are tax deductible and a receipt is emailed to your donor immediately after they make the donation. You have reached your fundraising target! Thank you – that’s awesome! We encourage you to keep on going and to update your fundraising target, simply login to your fundraising page, head to the Edit My Page tab and increase your fundraising goal. How do I track my kilometres for Stride? Any GPS enabled devices like fitness wristbands or watches (think Fitbit, Garmin etc) will do the trick. We have linked up with Strava and Fitbit to automatically sync with your fundraising page and add to your kilometres each time you record an activity. If you’re not already connected with these devices, you can always use your Smartphone and download Strava and Fitbit to get started. Once installed and your account has been created with your preferred app, login to your Stride4Stroke profile page and head to the 'My Activity Goal’ tab. Here you can now connect up to your preferred fitness app. Click on the icon of the app you'd like to connect - this will ask you to login and authorise us to access your fitness account. When using your fitness app, remember to create a new activity through your app and stop when you're finished each time - this will ensure your kilometres are recorded onto your Stride4Stroke page. You can also manually add an activity through the 'My Activity Goal’ tab too. If your activity is not appearing you can manually add your KMs via the ‘My Activity Goal’ tab on your dashboard. Tracking your kilometres with Fitbit is easy. Login to your Stride4Stroke profile page and head to the 'My Activity Goal’ tab. Here you can connect up to your preferred fitness app. Click on the Fitbit icon - this will ask you to login and authorise us to access your fitness account.